In this tutorial, we'll learn how the new Iris Blur filter in Photoshop CS6 makes it easy to add a blurred vignette effect to a photo. We'll be using Iris Blur's hidden layer mask feature, along with a couple of adjustment layers, to lighten the vignette and give its colors a more faded, muted appearance. You can create a similar effect using earlier versions of the program, but for the steps we'll be covering in this tutorial, you'll need Photoshop CS6 to follow along. I'll be covering, step by step, everything you need to know to complete this effect, but for a more detailed description of how the new Iris Blur filter works, be sure to check out our full Iris Blur tutorial in the Photo Retouch section of the website. The final "blurred vignette" effect. The Layers panel showing the original photo on the Background layer. Layer 1 is now our working copy of the image. If we look at our photo in the preview area, we see a collection of dots and curved lines overlaying the image. They're actually all part of the same pin which is used to control exactly how and where the blur effect is applied. 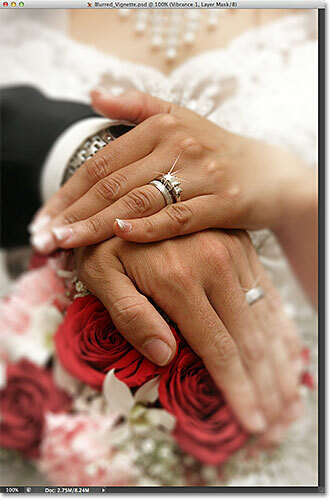 We can add more pins to the image if needed for even more control over the blurring, but for our vignette effect, the initial pin that Photoshop adds for us is all we need. 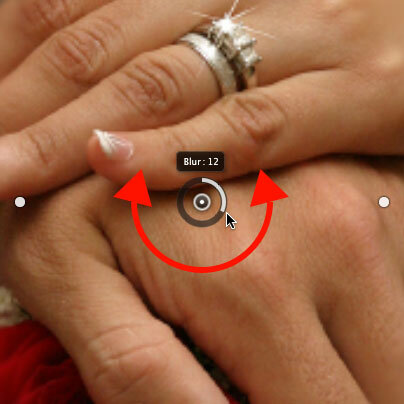 Click and drag around the ring to increase or decrease the blur amount. Hold Shift, then click and drag the top point upward. The bottom point moves with it. Hold Shift, then click and drag either of the side points outward. The other point moves with it. 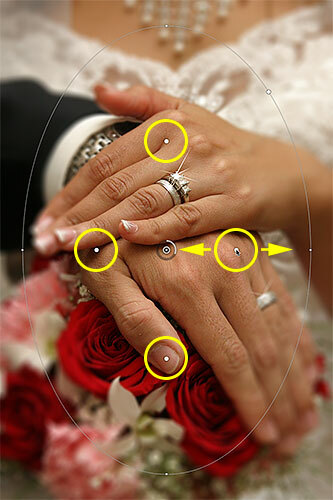 Click and drag any of the four larger dots to adjust the size of the transition area. Click inside the checkbox to select the "Save Mask to Channels" option. The photo after applying the Iris Blur filter. Click the name tabs to switch between panels. Hold Ctrl (Win) / Command (Mac) and click on the Blur Mask channel. The channel has been loaded as a selection. Choose Levels in the Adjustments panel. Change the adjustment layer's blend mode to Screen. The blurred area now appears lighter. Lower the Opacity value of the Levels adjustment layer if needed. Hold Ctrl (Win) / Command (Mac) and click on the mask thumbnail. The Vibrance adjustment layer has a similar layer mask applied to it. Lower the color saturation by dragging Vibrance towards the left. And there we have it! 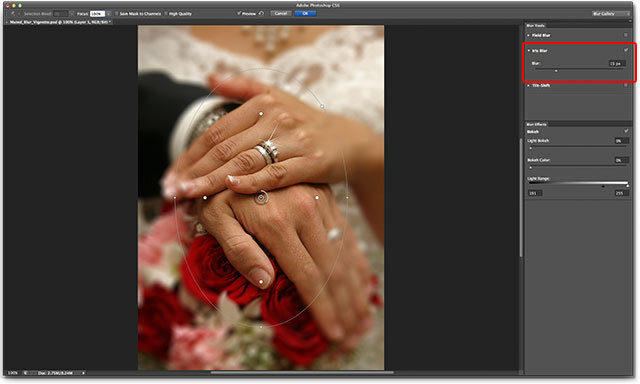 That's how to easily add a blurred vignette to an image with the new Iris Blur filter in Photoshop! Visit our Photo Effects section for more Photoshop effects tutorials!